Successfully Added Blackview A20 Smartphone 1GB RAM Quad Core Android 5.5 Inch Screen 3G Dual Camera Mobile Phone (Gold) to your Shopping Cart. 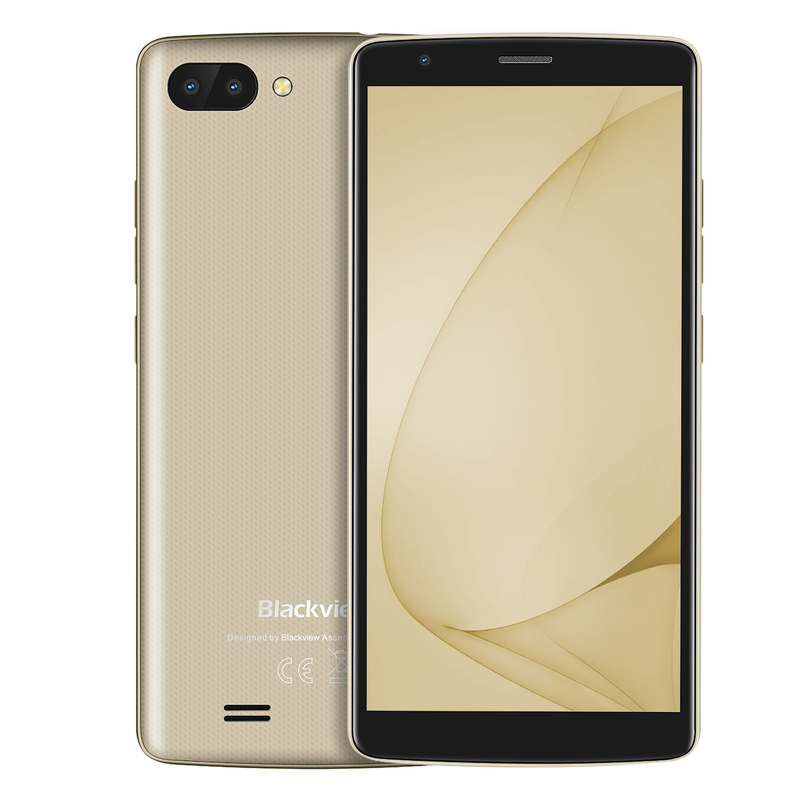 Blackview A20 (MTK6580M) 32-bit quad-core CPU, high performance, combined with 1GB RAM+8GB ROM, delivers a smooth user experience. 5.5-inch 960x540 resolution screen, 18:9 aspect ratio, provide big view and vivid color. 2MP front camera for clear video chat and selfie, 5MP dual rear cameras good for taking clear pictures. Powered by 4.35V 3000mAh detachable battery, meet the needs of you watching the video and call. Android Oreo(Go edition) is specially customized for entry-level smartphones. It contains the best of Android, is built with and reimagined Google apps, delivers a powerful experience to A20. Android Go system, performance comprehensively optimized, easy and smooth operation at your fingertips, more motivated and a pleasant new experience. The large immersive 5.5" Full Vision display is great for viewing movies, games and other content. And more importantly, this nice screen will fit right in your palm due to the minimized size. A good display with a long battery life. The big capacity 3000mAh battery, high-efficiency power performance, and Android 8.0 Oreo(Go edition) system-level power optimization offers up to 20 hours of music, playing, 10 hours of web browsing time. The 5MP dual rear cameras allow precious moments to be captured as wonderful memories, in outstanding clarity. A20 is equipped with 1GB RAM + 8GB ROM and a 32-bit quad core processor, along with the optimized Android Oreo(Go edition) for the affordable Android smartphone, delivers a smooth and stable experience.